I believe many people, including myself, really never thought about or understand just how important honey bees are to our ecosystem. Well, our friends at McCloud Nature Park want to change that. 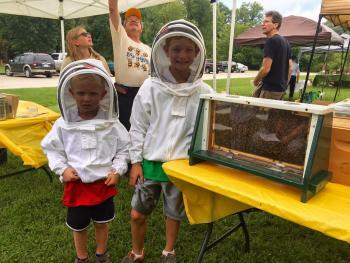 They will host the third annual McCloud Honeybee Fest from 1-4 p.m. on Aug. 25 at the park, 8518 Hughes Road in North Salem, Indiana, to celebrate the honey bees and their importance. Master beekeepers will teach the basics of backyard beekeeping, and offer opportunities to investigate a live hive (from safely behind glass). Park Naturalists will lead games and craft activities for children. A variety of local honey will be available for sampling, and you can cast your vote for Hendricks County’s Favorite Honey. You also can buzz around the vendor booths to browse some great honey products and support our local bees! This event is hosted by the Hendricks County Parks and Recreation Department, is free and appropriate for all ages. There is no advance registration required. The goal of this event is to spread awareness about honey bees, encourage community involvement and maybe even spark interest for others to keep bees on their own property. Maybe you could talk your kids into a beehive instead of a pony! To learn about honey bees -- I talked to Joe Lembo, the resident beekeeper at McCloud, and he insists bees are not only fascinating creatures but incredibly important to our environment and food sources. They pollinate local plants, which are often damaged or wiped out by invasive and non-native species. 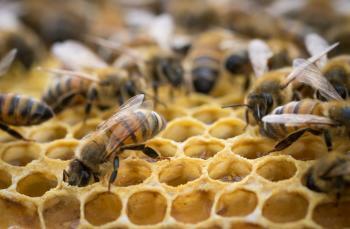 The honeybees keep the native plant life thriving. Also, their pollination makes it possible for us to have fruits and vegetables. If there were no bees pollinating the plants, there would be no opportunities for fruits and vegetables to grow. To purchase local honey -- While we tend to think of fruits and vegetables when we hear the word “produce,” we can’t forget another big contributor to our local produce: the bees who make our honey! The honey produced by local beekeepers is important because by purchasing it, you are supporting the honey bee population. It’s also unique because, according to Lembo, it’s a common belief that eating local honey can help with allergy symptoms. Bees pollinate using nectar from native plants, so getting your honey from the local plant source can potentially help your body adjust to pollen in the air. Let&apos;s also not forget that homemade local honey is absolutely delicious. To have fun and make memories -- Local food vendors, like Orange Leaf and The Beehive, and games and crafts for the kids make this festival fun and entertaining. If you&apos;ve never been to McCloud Nature Park before, you also will definitely want to explore all of the beautiful trails throughout the property and take plenty of pictures. Don&apos;t forget to use the #inHendricks if you post them to social media. Bring cash, as it’s not guaranteed credit cards will be accepted should you wish to purchase products or food. Come and see what all the buzz is about and learn about some of our most important creatures.